Your hands never have to leave the keyboard when you need to open an app. 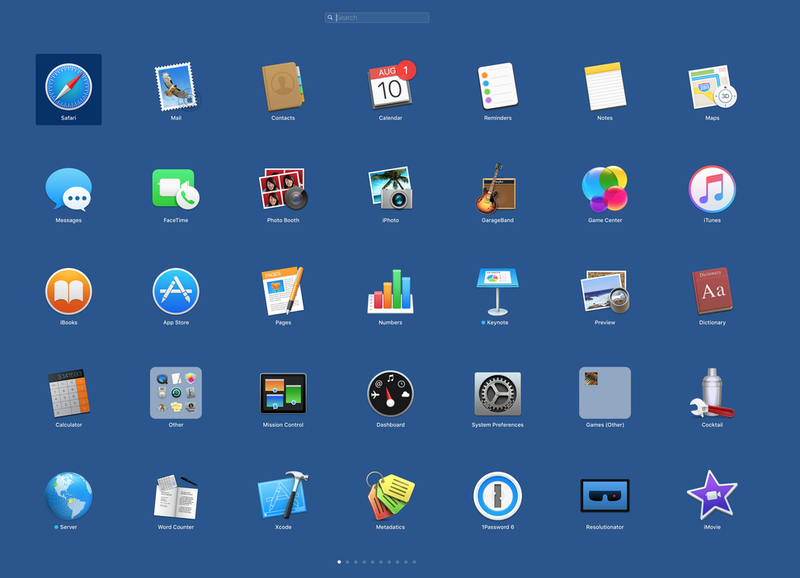 You know how to launch Mac apps: you click an icon in the Dock, or you double-click an icon someplace else, such as in the Applications folder. But there are also a number of ways that you can launch apps without taking your hands off the keyboard. Here are five ways to launch Mac apps from the keyboard. 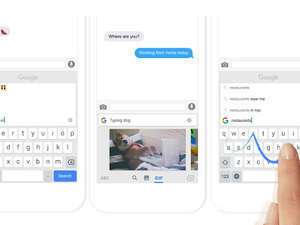 The simplest way to launch an app from the keyboard is to use Spotlight. Press the Spotlight keyboard shortcut (by default this is Command-Space) and type the first couple of letters of an app’s name. For example, if you want to launch Safari, type SAF. 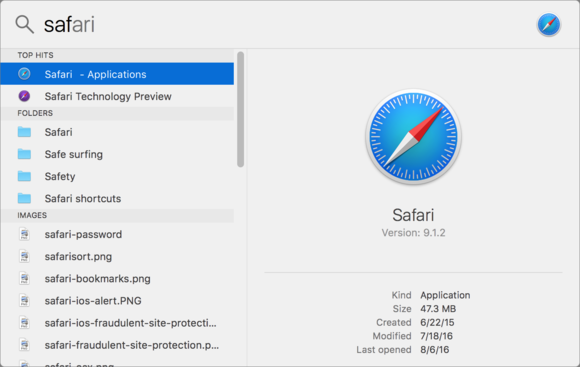 Spotlight should put Safari at the top of the list; press Return to launch it. If the app you want to launch isn’t the first one in the list, use the arrow keys to select it, and then press Return. Using Spotlight, you can quickly launch apps by typing a couple of letters. You don’t always need to type the first letters of an app’s name for it to come up in Spotlight. If an app’s name has two words, such as GarageBand or Microsoft Word, you can type, for example, GB or MW to zero in on it. Launchpad presents your apps with big icons on your screen, laid out in a similar way to iOS app icons on an iPad. To invoke Launchpad, press F4 on newer Apple keyboards (older Apple keyboards use F4 to launch Dashboard); on a Trackpad, use a pinching motion with your thumb and three fingers. You’ll see some of your app icons with a Search field above them. That Search field has focus; when you start typing the characters automatically get entered into that field. Type the first couple of characters of the name of the app you want to launch. If it is the first app selected, press Return to launch it. If not, use the arrow keys to select it, and then press Return. When you invoke Launchpad, the Search field is selected. Another way to launch apps from the keyboard is to do so in the Applications folder. 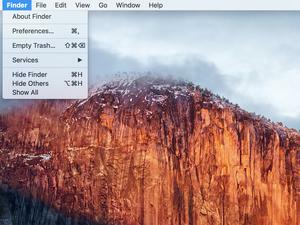 It’s not that hard to get to that folder; in the Finder, just press Command-Shift-A. As with Spotlight and Launchpad, you can type letters to access your apps. However, typing in a Finder folder merely selects an item; it doesn’t hide other items in that folder, showing only the apps with the letters you type. So, to launch an app such as Preview, type PR, and, unless you have another app whose name begins with those two letters, Preview is selected. Press Command-down arrow to open the app. Note that for apps with two-word names, such as QuickTime Player or System Preferences, you can’t type QP or SP. The Finder’s selection will jump to the second letter you type, so just type the first letter or letters, use the arrow keys if necessary to get the app you want, and then press Return. You can navigate the Dock using the keyboard, and therefore launch any apps that are in the Dock. To do this, press Control-fn-F3. If the Dock is hidden, it slides out onto the screen. Use the arrow keys to navigate the dock, or type the first letter of the app you want to launch. Press return to launch the selected app. If you want to dismiss the Dock, press Esc. If you really want to use the keyboard to launch apps and do much more, you should probably look into using a launcher app. There are several of these: Alfred, Butler, LaunchBar, and Quicksilver. This article discusses the different features of these launchers. The advantage to using one of these utilities goes far beyond simply launching apps. You can control many of your Mac’s functions, navigate the file system, open, copy, move, and delete files, and much more. With these five methods, you may find that launching apps is quicker and more efficient. You can use your keyboard more, and spend less time with your mouse or trackpad.